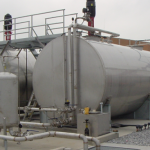 Westech employs Certified API-510 Pressure Vessel Inspectors in Texas and Delaware serving commercial, government and military facilities around the world. 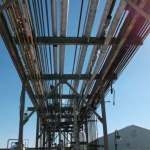 Westech’s inspectors are experienced in various processes and equipment, including Boilers, Filters, Reactors, Drums, Towers, and Heat exchangers. We use specialized software for generating reports fitness for service evaluations to facilitate quick turn overs. Reports include API-510 inspections, repair & modification specifications, re-rates (i.a.w. API & ASME design codes, Zick formulas, & NBIC guidelines. Reports are normally turned around in less than one week. Please contact us if you would like to see a sample report. Westech employs API-570 Piping Inspectors in Texas and Delaware serving commercial, government and military facilities around the world. Westech’s inspectors are experienced in the routine inspection and repair related inspection of various processes and configurations. We use specialized software for generating reports to facilitates quick turn overs, Reports are normally turned around in less than one week. Please contact us if you would like to see a sample report.